(AP) — Government workers on the islands of the eastern Caribbean are clearing drains and pruning trees as authorities urge residents to prepare for Hurricane Irma, a Category 3 hurricane with sustained wind speeds of 115 MPH likely to begin buffeting that area Tuesday. The Antigua and Barbuda weather service said Irma was expected to bring heavy rains, rough surf and high winds. Hurricane watches were posted for Antigua and Barbuda, Anguilla, Monserrat, St. Kitts and Nevis, St. Martin, Guadeloupe and the British Virgin Islands. The U.S. National Hurricane Center said islands farther north, including the U.S. Virgin Islands and Puerto Rico, should monitor the progress of the storm and be prepared for Irma possibly to head their direction. 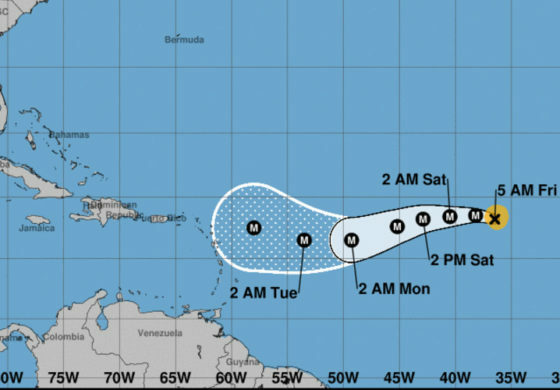 Long-range forecasts indicated Irma likely would curve to the northwest beginning late Monday and skirt to the north of the islands in the eastern Caribbean on a path that could potentially take it to the U.S. East Coast, but it was too early to make a definitive prediction. Antigua’s prime minister, Gaston Browne, urged people to take preventative measures in case the storm should keep on its current arc, saying that should include cleaning drains and removing objects that could be sent flying by high winds. Workers began pruning trees and shrubs to reduce chances for branches to tear down power and phone lines. This technique is also commonly seen in countries like Australia, where companies like Jim’s tree lopping business can prune trees to prevent trees from falling and causing large amounts of damage. The U.S. hurricane center said Irma had maximum sustained winds of 115 mph (185 kph) Monday morning and some strengthening was expected through Tuesday night. The storm was centered about 625 miles (1,010 kilometers) east of the Leeward Islands and moving west-southwest at 14 mph (22 kph). In the Dominican Republic, Public Works Minister Gonzalo Castillo said workers there were clearing away road works and also cleaning out blockages of sewer drains. He said President Danilo Medina would hold a meeting with emergencies agencies Monday to discuss storm preparations.